WASHINGTON — Have you been thinking about expanding your family? 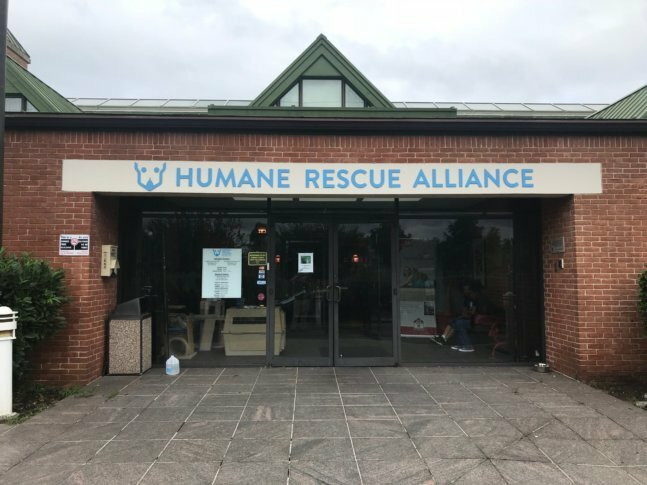 The Humane Rescue Alliance in D.C. is urging people looking for pets to adopt from their facilities in order to make room for more animals coming in due to Tropical Storm Florence. The appeal comes after many animals were transported to their facilities — some of which have already found homes with locals. Lady, a one-year-old gray cat with white feet and a white chest, found a new home in College Park, Maryland, after she was adopted at the Humane Rescue Alliance in D.C.
She is just one of 26 dogs and cats that wound up at the facility on Oglethorpe Street in Northwest D.C. after being chased out of Norfolk, Virginia, by the threat of Florence. “When I realized how many cats were here and how many cats needed a home, I’m really having a hard time only taking home one,” said Crystal Small, of College Park, who adopted Lady as a companion to her other adopted cat. “We have extra love in our home and we’re looking to share that love with another cat,” she said. The atmosphere at the facility was busy Saturday as pet lovers checked out the dogs and cats and filled out paperwork if they found the one. “I met a dog named ‘Beefcake’ and really liked him so we made the arrangements to come back today,” said Elizabeth Redisch, of Bethesda, Maryland, who found a mixed-breed, 2-year-old dog to share their home with their 10-year-old dog, Stella. Stella was also adopted from Humane Rescue Alliance 10 years ago. 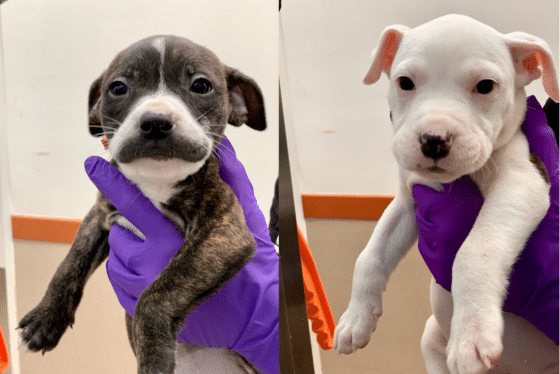 “We checked out the dog, the dog checked out the dog, the daughter checked out the dog, and the dog loves us, so we love it, and I can’t wait to bring it home,” said Steve Redisch. For those who can’t adopt, the organization welcomes donations to help with costs for transporting and caring for incoming animals. More information on the animals, adoptions and donations can be found on the Humane Rescue Alliance’s website.